7. Bulgarian passport by investment. Our experience shows that the most convenient and affordable way for a foreign national to obtain a Bulgarian D visa and Bulgarian residence permit is by way of registering a foreign company’s trade representative office in Bulgaria. Registering a trade representative office with our law firm, we will not charge you maintenance or annual fees for the registered office address of your trade representative office. Who is eligible for a Bulgarian temporary residence permit? How long can I stay in Bulgaria with a temporary residence permit? A Bulgarian temporary residence permit is valid for either 6 or 12 months, and it can be renewed for a period of up to 5 years. If you are not eligible for a Bulgarian permanent residence you still can renew your temporary residence. How many years do I have to stay in Bulgaria to obtain a Bulgarian permanent residence? Individuals must hold a Bulgarian temporary residence permit for 5 years before they are eligible to apply for a permanent residence permit. The registration of a trade representative office in Bulgaria allows foreign persons to easily obtain a temporary residence permit that is valid for up to 1 year, and is renewable annually. The first Bulgarian permanent residence permit is valid for five years and on next renewal an indefinite permanent residency is granted. How many years do I have to stay in Bulgaria in order to obtain a Bulgarian citizenship? The Bulgarian Citizenship Act allows non-EU nationals who resided in Bulgaria for five years on permanent residency to apply for a Bulgarian citizenship and passport. 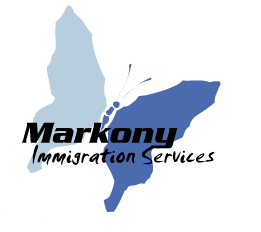 The immigration lawyers at Markony Immigration Services LLP can assist you to file your Bulgarian citizenship application with the Ministry of Justice. How long does it take the registration of a trade representative office in Bulgaria? The average time required to register a trade representative office in Bulgaria, and to prepare the requisite set of D visa application documents is approximately 15 working. Am I allowed to conduct business in Bulgaria under the trade representative office? The sole purpose of a trade representative office is to promote, and eventually expand, your foreign business in Bulgaria. Foreign persons are not allowed to be involved in any economic activities of their trade representative office. We recommend a Single Person Private Limited EOOD company for doing business in Bulgaria. How many representatives am I allowed to add to the trade representative office of my foreign company in Bulgaria? The Bulgarian law allows foreign companies to register up to five foreign trade representative personnel. Do I need to employ local citizens? Registering a trade representative office, you are Not required to hire Bulgarian employees. Do I need to pay for a registered office address? No fee for a registered office address. We will provide a top location registered office address for your Bulgarian representative office free of charge for as long as you need! Do I need to pay maintenance fees for the Bulgarian representative office? Can I bring my family to Bulgaria? Holders of Bulgarian residence can apply for family reunification for their family members. The term “family” strictly refers to a spouse and dependent children who are under the age of 18 years old and not married. What is the embassy fee for a Type D visa application? The non-refundable embassy fee for a Type D visa application is 100 €. How long does it take for my D visa application to be reviewed? The Bulgarian embassy processes all D visa applications within 30 working days on application. All persons applying for a Bulgarian Type D visa must attend interview in the nearest Bulgarian embassy or general consulate. While there are no exceptions to this requirement, the lawyers at Markony Immigration Services, LLP will work with you to ensure that you are fully prepared for all aspects of your application process. Please contact us for more information about registration of a trade representative office in Bulgaria and applying for a Type D visa and Bulgarian residence permit. If required, we can attest your foreign company’s documents at your country embassy in Bulgaria. The documents are legalized at the Bulgarian Foreign Affairs Ministry as well – 40 € per document. In addition to the services mentioned above, we also offer international health Insurance plans. These plans are valid for 1 year covering personal injuries of up to 30,000 €, and cost 99 €. Children under the age of 14 receive a 10% discount. The health insurance is mandatory when applying for a Bulgarian Type D visa.